Hello stamping friends!! It's time for another new release hop this week over at Digi Darla's! We'll be showcasing some of the AUGUST new releases at our sister site - Digital Stamp Club!! Each of us on the DT chose an image from all of the August releases to show you and guess what!! Each one of us will be choosing one lucky winning comment to receive our image choice!! 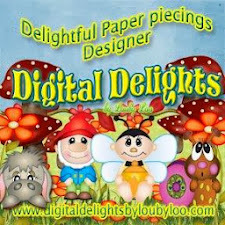 So make sure you hop around to all our blogs and be sure to comment for a chance to win a DD image!!! We're also giving away a GRAND PRIZE!! 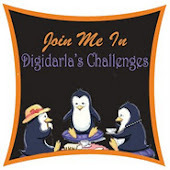 Just for joining us, using a DIGI DARLA image, you will have a chance to win ALL of August New Release images!!! OMGosh!! So, let's get this party started, shall we?? If you've arrived here from KAREN then you are on the right track!! 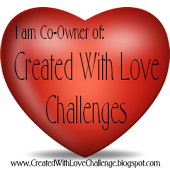 If you're just arriving, please be sure to start at the very beginning, Denise's blog, so you don't miss one thing!! Our challenge this week is "Bling It Up!" - we want to see bling, bling and more bling on your creation! And here's my creation using Digi Darla's New Releases! I used 2 of Digi Darla's New Releases this week in my card. I colored with prisma colored pencils and blended with OMS, then I fussy cut the house on the hill, then cut the sentiment, added some pearl gems, I also added some gold swirls, and topaz /yellow gems to the flower centers, then I took the ribbon and twisted it! Now before you leave, be sure to leave me a comment for a chance to win this fabulous image!! 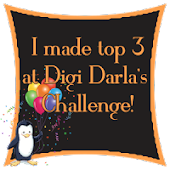 Don't forget to join our challenge this week for a chance to win the entire August Release-you need to use a Digi Darla image!!! to seeing you at Digi Darla's this week!! Hello Dawn. What a fab creation. Love the detail. Just love the colors that you have used for this. What a great family card! Sweet sentiment! Thanks for the inspiration! Love this, Dawn! The Bling is also terrific! Beautiful card.love the twisted ribbon and colors. Loved the two swirls -they stand out for me.....also liked the background paper.